Ordinarily we hear of artists trying to make art more accessible to the public, but this is one time an artist has purposely placed his work in an out-of-the-way place. 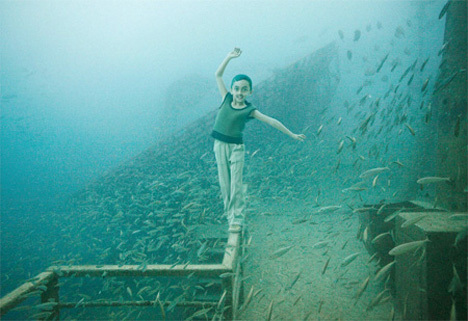 After diving to view the world’s second largest artificial reef in 2010, artist Andreas Franke decided to turn the artificial reef – a sunken ship – into an underwater art gallery. 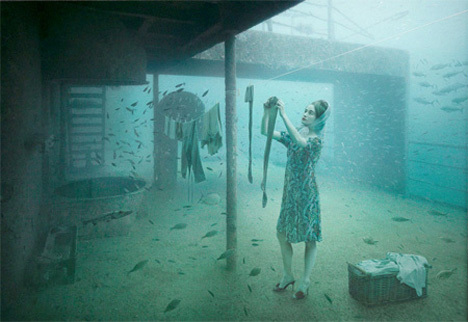 Franke is a photographer who favors surreal scenes and dreamlike worlds. 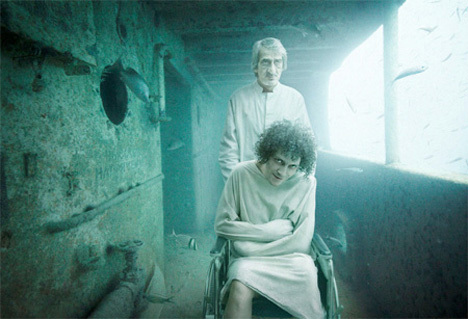 He was impressed by the otherworldly quality of the underwater ship, the Vandenberg. 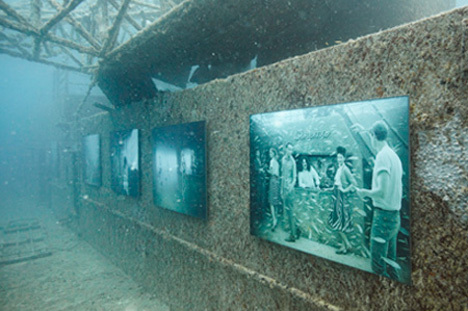 After diving to see it, he began to form a plan for a one-of-a-kind exhibit. The artist took photos of the landscape inside the Vandenberg, documenting the day-to-day scenes aboard the 523-foot-long ship. 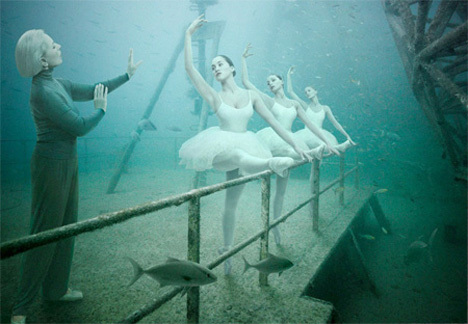 He then added people to these scenes, bringing a new form of life to the underwater stage. 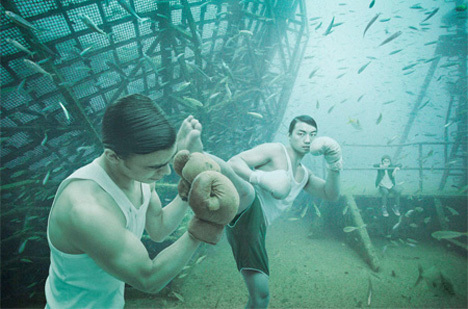 “Life Below the Surface” inserts humans into the underwater scenes you would expect to see in a sunken ship. 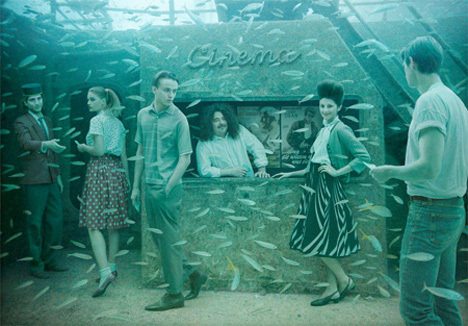 Seemingly perfectly comfortable in their watery environment, the people in Franke’s photos go about their daily business just as the rest of us do on dry land. 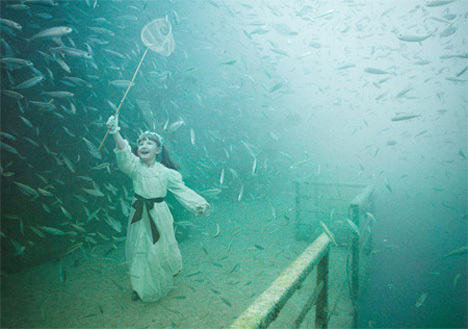 The photos featured in the exhibition show scenes from a time long ago. 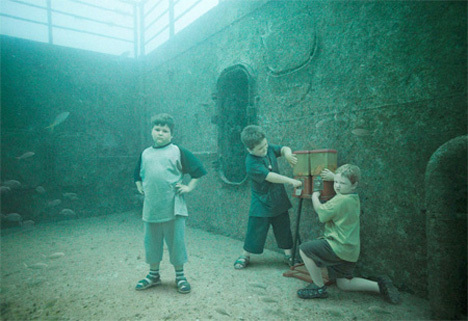 Children play, a housewife hangs laundry out to dry and the other characters enjoy their daily activities, none of them the least bit alarmed that they are surrounded by water, fish and the rusting hulk of an old military ship. The Vandenberg military ship is located 100 feet below the surface in the Florida Keys National Marine Sanctuary, about seven miles south of Key West. 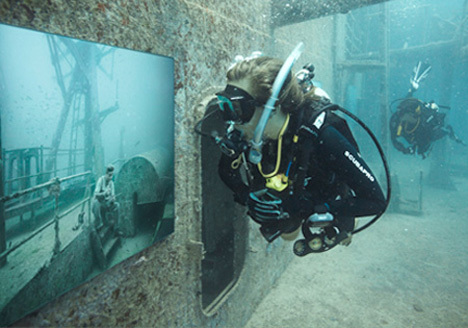 The Andreas Franke “Life Below the Surface” exhibit features 12 photographs encased in watertight Plexiglass and attached to the side of the Vandenberg with strong magnets, ensuring that there will be no damage when the pictures are removed. Divers who want to visit the exhibition are able to charter boats from Key West to take them to the Vandenberg site. 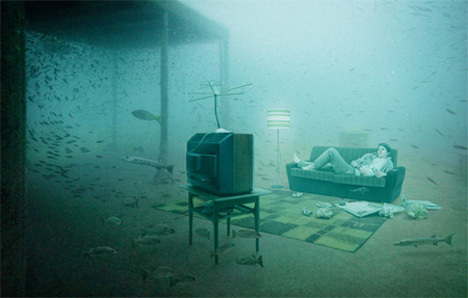 The peaceful scenes depicted in the exhibition are made even more surreal by the environment in which they sit.